I recently received an invitation to participate in a challenge sponsored by C&T Publishing. 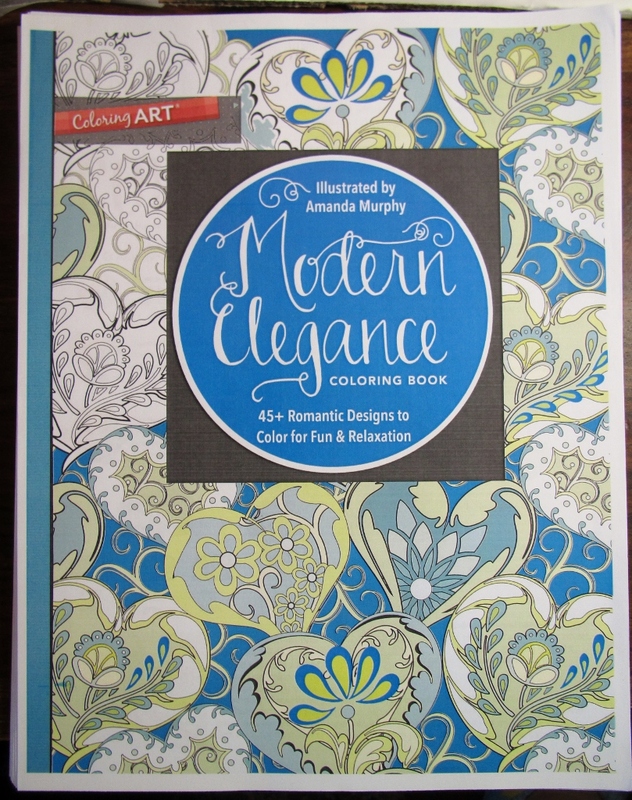 This challenge involved selecting one of C&T's adult coloring books, coloring a page and fashioning it into something totally different and unexpected. The book I selected was Modern Elegance. I love the various floral images contained within the book and I knew I could make something fabulous with this. The image I selected reminded me of the large, billowy floral decorations used in the Art Deco age. 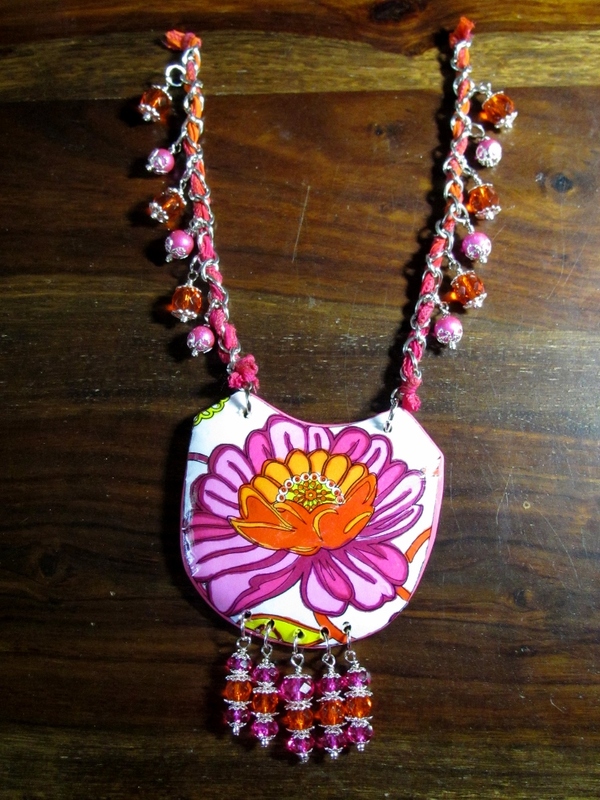 I thought this would be perfect in jewelry pieces reminiscent of Boho fashions which are so popular these days. 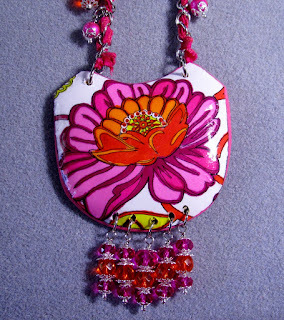 I knew it would look awesome in a focal jewelry piece, as well as in several complimentary pieces. The coloring book page combined with wood cutouts and jewelry supplies I had at home were all I needed to design a whole new jewelry wardrobe. 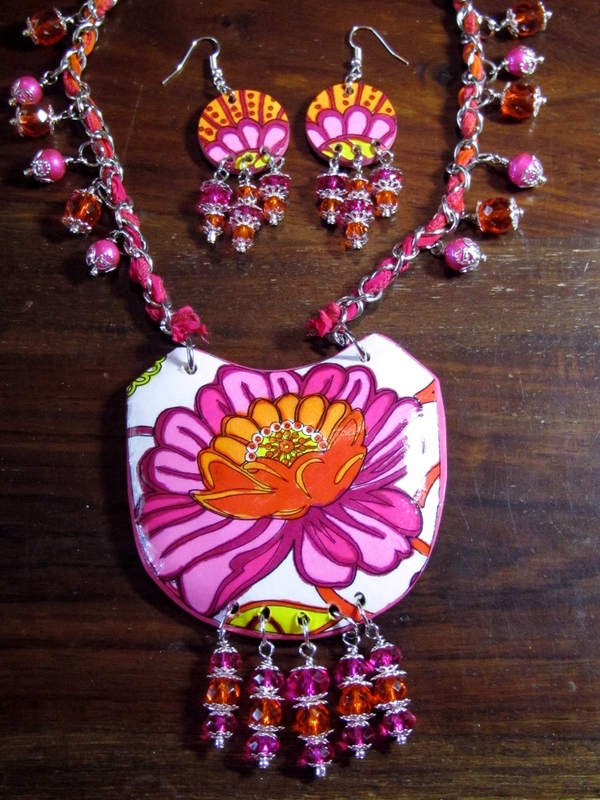 I ended up designing 7 different things out of one coloring book page - the large focal Boho Floral Necklace, along with complementary earrings and a charm bracelet. I also made a cross necklace with complementary earrings, cross earrings and a mini wall cross. 2) Color coloring book page with Sharpies. 3) Using the pendant as a guide, place it over a section of the coloring page, selecting an image that will serve as the focal point of the necklace. 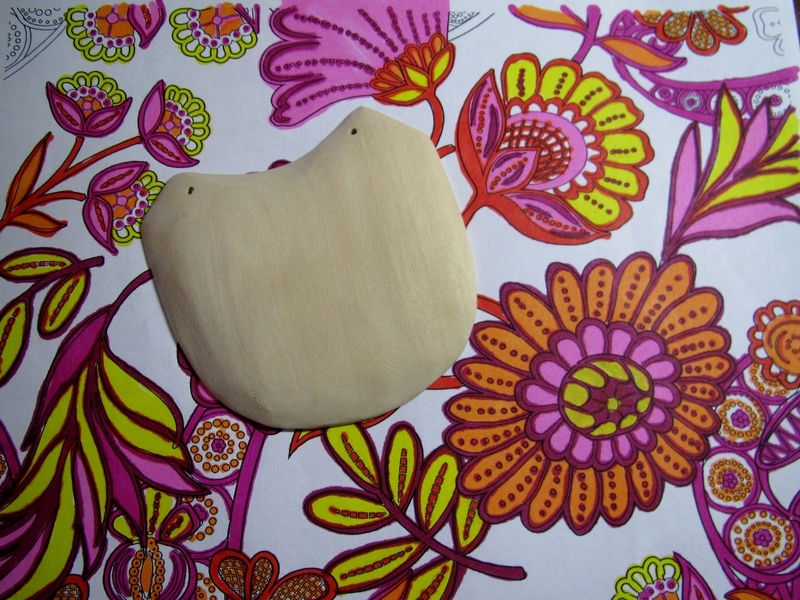 Use pencil or pen to trace around the pendant. Cut it out with scissors. 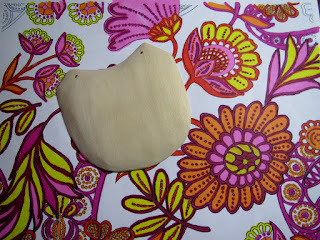 4) Use finger to apply a light layer of glue over the top of the wooden pendant blank. Carefully place the coloring book piece over the top of the blank, smoothing it out with your finger and removing any wrinkles and/or air bubbles. Set piece aside and let it dry. 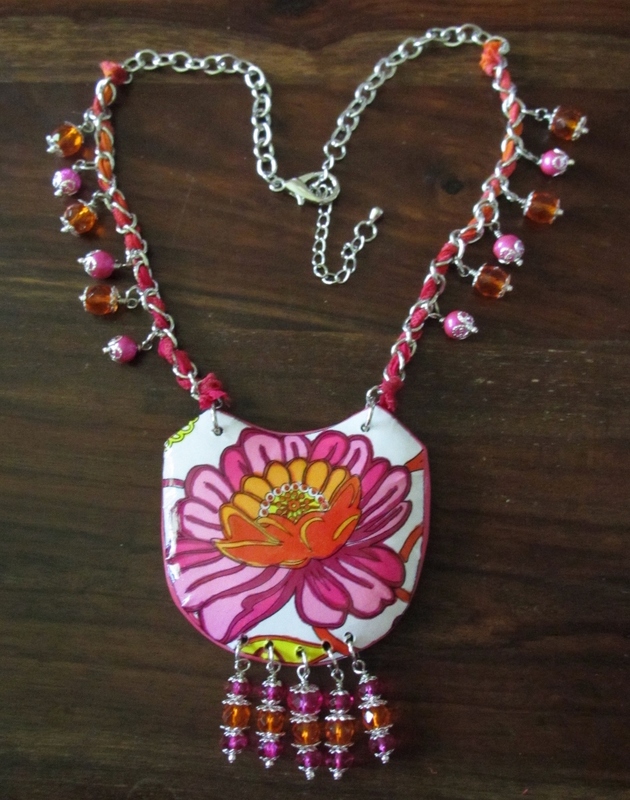 Once it is dry, use your finger to apply a thin coating of Diamond Glaze over the top of the pendant. The key is to use a very light touch here, so as not to smear your image. If desired, once this is dry, the pendant can be left as is, however, I noticed that items sealed with Diamond Glaze can be somewhat tacky. 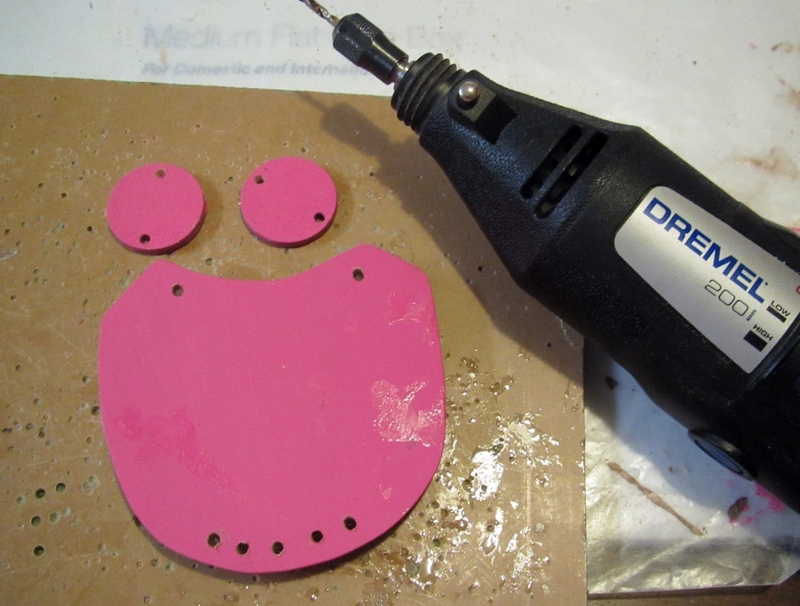 To alleviate this, I add a coat of water-based varnish over the top. This takes away the tackiness of the Diamond Glaze. 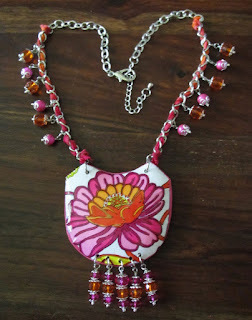 I do not recommend using the varnish without the Diamond Glaze, though, as it may "lift" the color off of your pendant. The Diamond Glaze is used as a protectant. 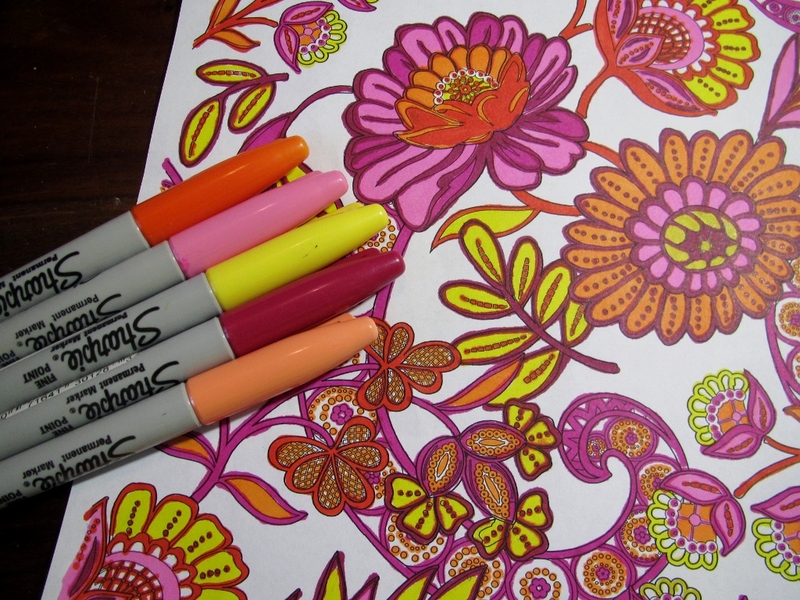 When applied lightly, it will help to prevent the coloring from smearing or lifting off of the page. 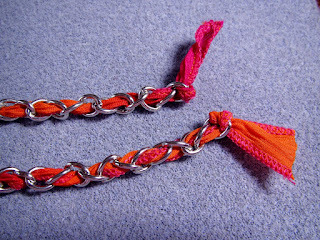 5) Divide the rhodium chain into 4 equal pieces. 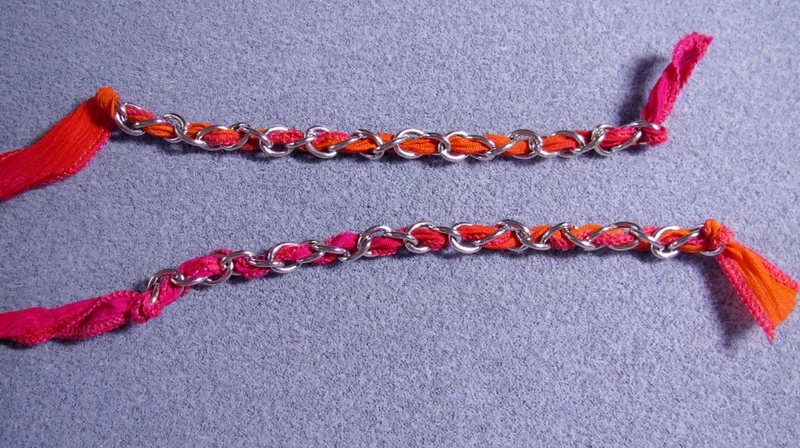 Set 2 pieces aside. 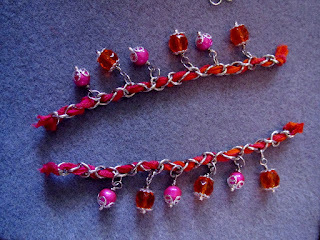 On the remaining 2 pieces, lace the ribbon through each length of the chain and cut, leaving approximately 1 1/2" inches extra on each end. 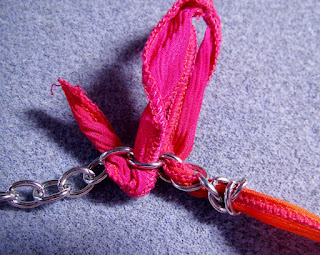 Tie each end into a knot. To ensure the knots stay secure, dab a dot of super glue on them (optional.) Trim excess ribbon. 6) Thread 12 headpins with a silver seed bead, one pink or orange bead and bead caps, as shown in the image below. 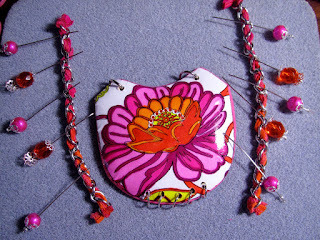 Wire-wrap each headpin into a loop and clip off excess wire. 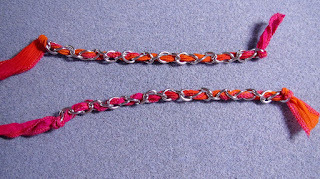 Lay out the beads as shown, alternating pink and orange bead dangles on either side of the ribbon-threaded chain pieces. 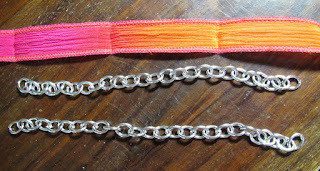 Attach these to both sides of the chain pieces. See photos below for placement. 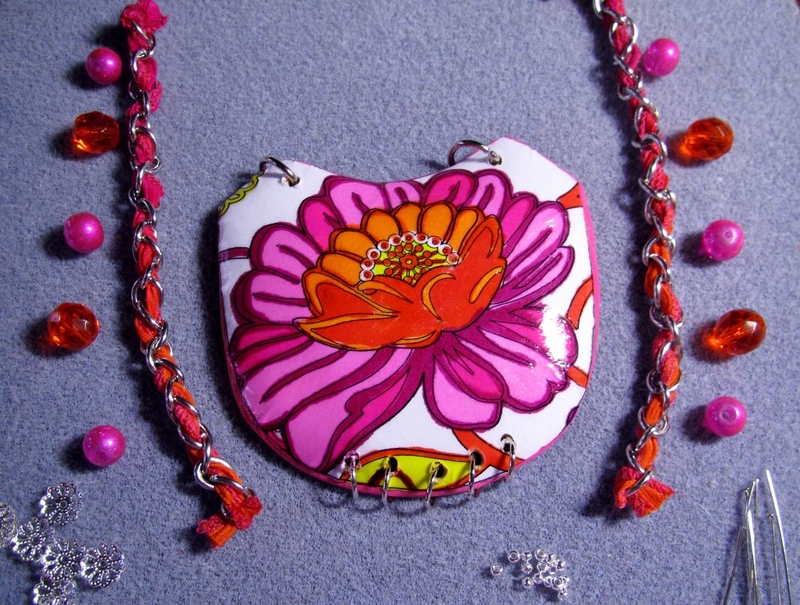 7) Attach the beaded ribbon chain pieces to the top of the pendant with jump rings. 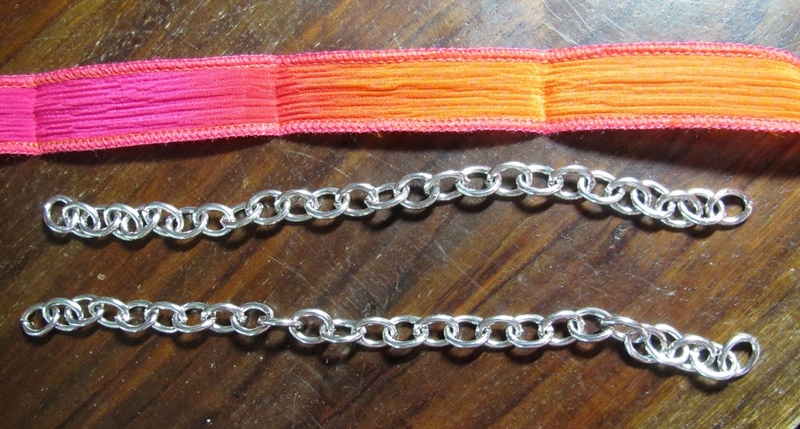 Add remaining chain pieces to each end of the ribbon chain pieces. Add lobster clasp. 8) Make 5 beaded dangles by threading a seed bead, two pink beads, one orange bead and bead caps onto each headpin. Form the top of the headpin into a loop using rosary pliers. 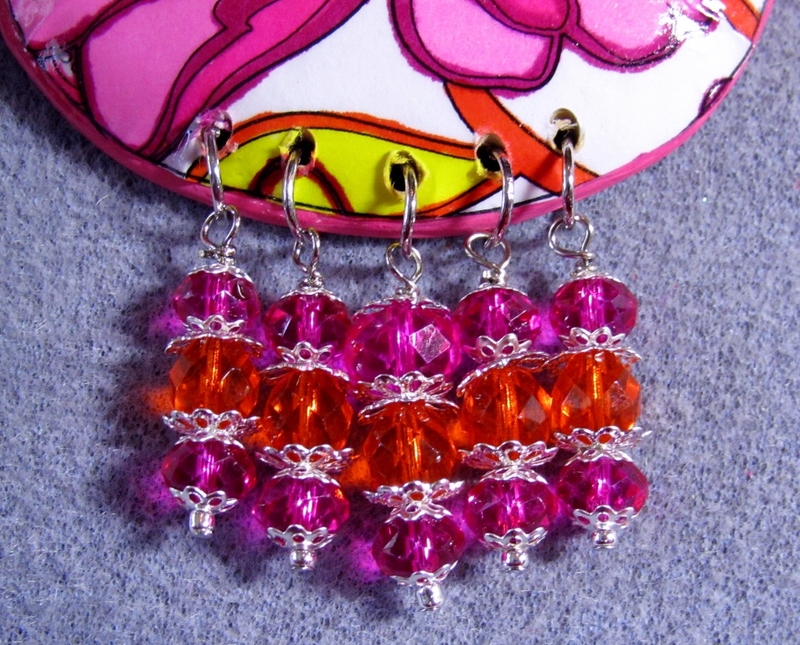 Attach the dangles to the bottom of the pendant with jump rings. Please refer to the photo for placement reference. 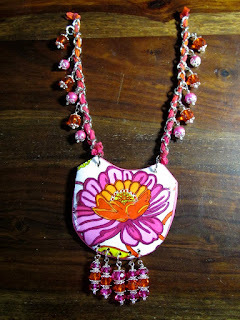 9) Enjoy your beautiful new necklace! 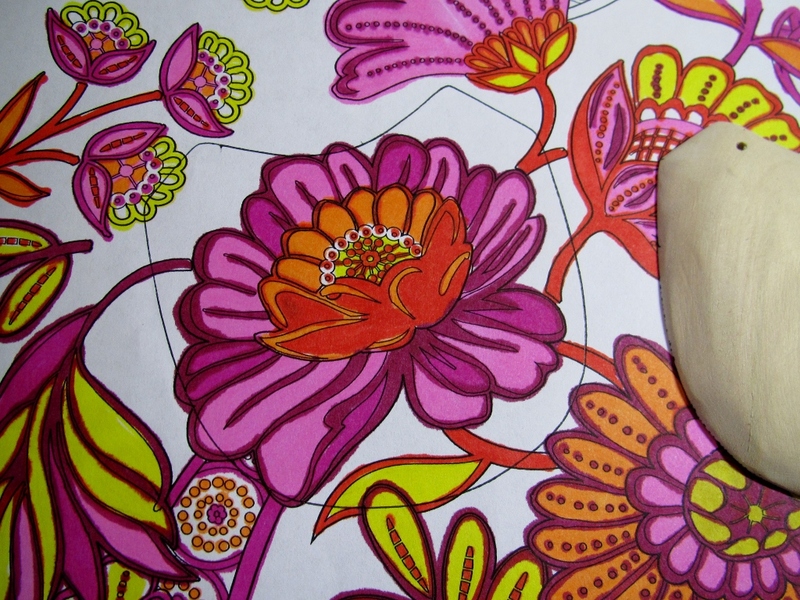 I will be sharing tutorials for a charm bracelet, earrings and cross jewelry pieces using coloring book pages as the design in the very near future...please be sure to follow me so you don't miss these tutorials.